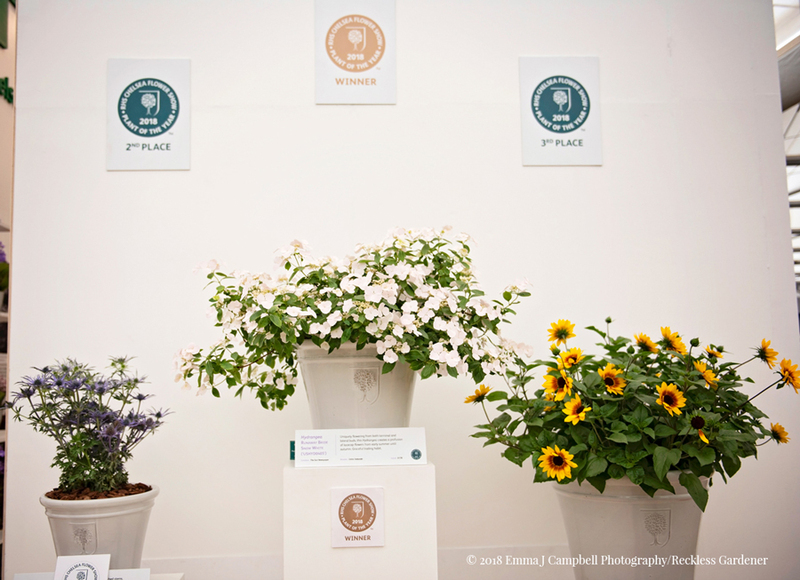 Each year the competition for this prestigious accolade gets stiffer and stiffer and the shortlist for 2018 was no exception with 20 top class plants listed. 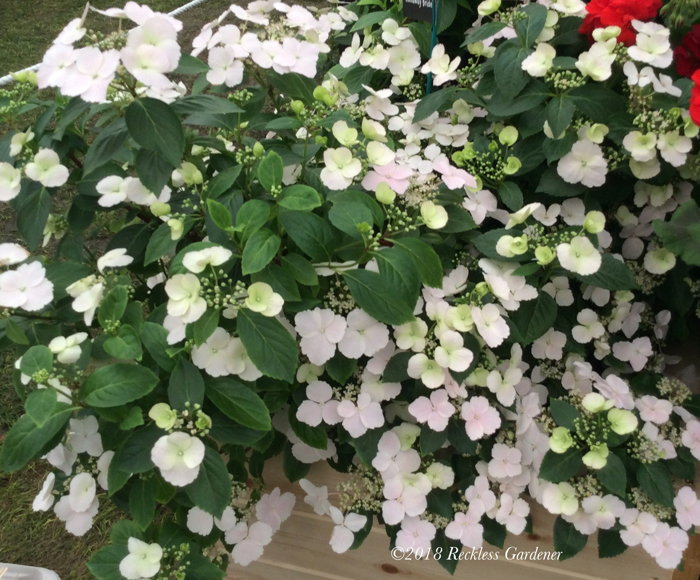 The winner, perhaps aptly given the show followed a certain Royal Wedding, is Hydrangea Runaway Bride Snow White, bred by Ushio Sakazaki (who incidentally also bred the now famous trailing surfinia petunias) and pretty cool it is too. 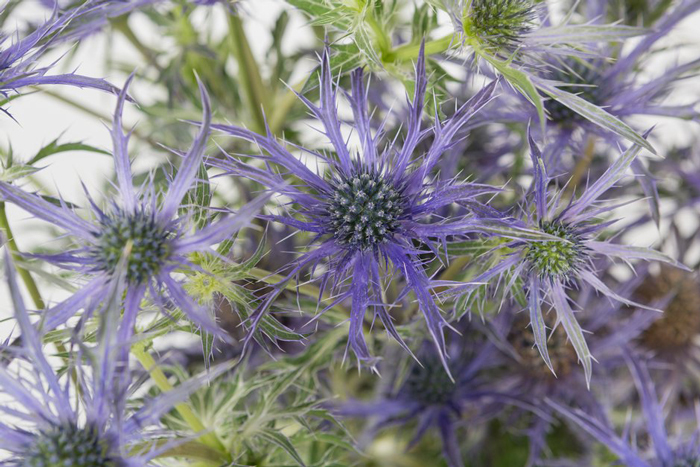 Runner-up was Eryngium ‘Blue Waves’, found as a seedling on Dove Cottage Nursery, Halifax. A perennial sea holly, it has a strong vivid blue colour with a strong upright habit. Long lasting flowers and a repeat blooming habit, the many branched stems hold deeply divided foliage and flower heads from May-June. 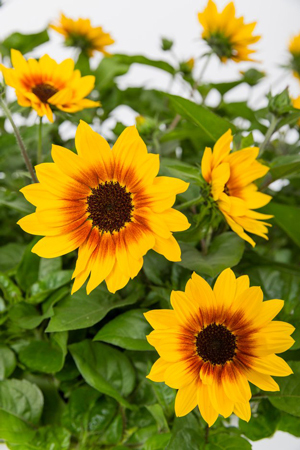 The third star in the competition is Helianthus annuus Sunbelievable Brown Eyed Girl – a cutting raised sunflower with plants reportedly producing around 1,000 flowers. Sunbelievable Brown Eyed Girl (pictured left) is said to flower non-stop from May until first frosts. It is pollen-free, making it an ideal cut flower. It was bred in the UK by Charles Valin of Thompson & Morgan. The shortlist was very varied this year and included Acers, Dahlia, Clematis, Salvia and Zantedeschia. I feel sure that gardeners are in for a feast of new varieties in the coming months. Photo credits: Banner top of page ©EmmaJCampbell Photography/Reckless Gardener; Hydrangea Runaway Bride Snow White ©Reckless Gardener; Eryngium ‘Blue Waves’ ©RHS Image Collection; Helianthus annuus Sunbelievable Brown Eyed Girl ©RHS Image Collection.